Thailand plans new rail route to Cambodia (10/04/2019-15:30:00 PM) Bangkok (VNA) – Thailand’s Transport Ministry is planning to open a new rail route to link Sa Kaeo province, about 200 km east of Bangkok, with Cambodia to facilitate cross-border trade, and boost tourism around the eastern border of the country. Cambodia to export crude oil in late 2019 (04/04/2019-14:49:00 PM) Singapore-based KrisEnergy company is expected to launch the extraction of crude oil in Cambodia in late 2019 or early 2020 but that oil will not be refined in the country. 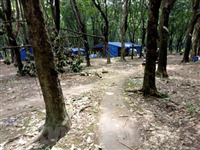 Vietnam Rubber Group taps 25,400 tonnes of latex in Cambodian province in 2018 (29/03/2019-15:46:00 PM) The Vietnam Rubber Group (VRG) has reported that it tapped over 25,400 tonnes of rubber latex from its farms on a total area of 22.64ha in the Cambodian province of Kampong Thom in 2018. Cambodian delegation seeks co-operation opportunities in Binh Duong (08/03/2019-16:29:00 PM) Permanent Vice Chairman of the Binh Dương provincial People’s Committee Mai Hung Dung on March 4 received a delegation led by head of the Cambodian Ministry of Interior’s Department of Administration Buon Heng. Potential remains huge for Vietnam-Cambodia economic cooperation (28/02/2019-15:35:00 PM) Potential remains huge for economic cooperation between Vietnam and Cambodia, Deputy Minister of Industry and Trade Do Thang Hai has affirmed.